Star Wars: The Force Awakens is finally available for digital download and on VOD today, ahead of its Blu-ray and DVD release this Tuesday, April 5. To celebrate, Fandango has released the Ultimate Star Wars Franchise Trailer. 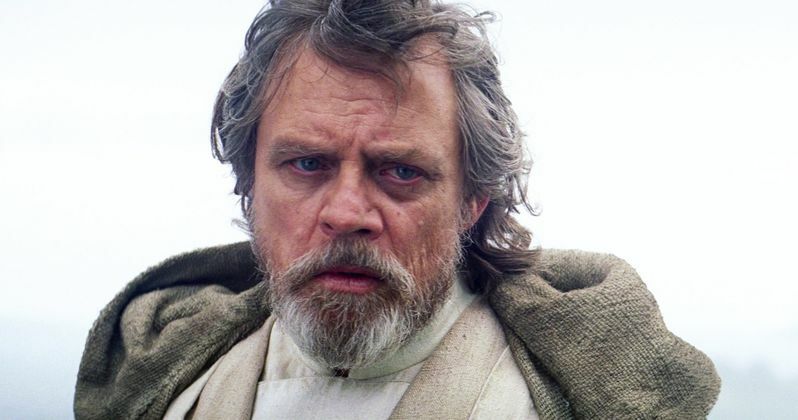 It retells the entire Skywalker Family saga up until this point, spanning Anakin's formative years in the prequel trilogy and Luke's Jedi training in the original trilogy, all of which leads into the latest sequel. As an added bonus, they have also released the mash-up video The Evolution of Darh Vader: A Journey to the Dark Side. Here is the official Fandango press release: Fandango is celebrating today's Digital HD debut of Star Wars: The Force Awakens on its just-launched premium on-demand video service, FandangoNOW with two new mashups: The Ultimate Star Wars Franchise Trailer, a retrospective look at how The Force binds the galaxy together in all seven films. And The Evolution of Darth Vader: A Journey to the Dark Side, charting young Anakin Skywalker's path to the dark side. FandangoNOW (formerly known as M-GO) offers a massive library of new release and catalog movies and next-day TV shows for purchase and rental on a wide variety of connected, over-the-top (OTT) and mobile devices, including iOS, Android, and Roku devices as well as on Smart TVs from Samsung, LG and Vizio. Fandango acquired M-GO earlier this year so it could serve fans throughout the entire movie life cycle -- anytime, anywhere - with compelling new digital movie products, including "super tickets" and other theatrical ticket and home entertainment products. Fandango sold more than 37% of the "Star Wars: The Force Awakens'" record-breaking opening weekend box office in the US. Star Wars: The Force Awakens was directed by J.J. Abrams and written by Lawrence Kasdan & J.J. Abrams and Michael Arndt. Lucasfilm president and eight-time Academy Award nominee Kathleen Kennedy and J.J. Abrams, along with his longtime producing partner Bryan Burk, are the film's producers. Having established a musical legacy with his iconic scores for the previous six films in the Star Wars Saga, acclaimed composer John Williams returned to score Star Wars: The Force Awakens, ultimately garnering his 50th Oscar nomination for it. To celebrate the in-home release of Star Wars: The Force Awakens, Target, Walmart, and Best Buy are each offering fans a retailer-exclusive, uniquely packaged, collectible version of the Star Wars: The Force Awakens Blu-ray Combo Pack. The Target Star Wars: The Force Awakens Blu-ray Combo Pack comes with exclusive packaging and an added 20 minutes of bonus content, including never-before-seen interviews with Daisy Ridley and John Boyega and a deeper look at the movie's costumes and weaponry. The Walmart Star Wars: The Force Awakens Blu-ray Combo Pack comes with exclusive BB-8 packaging and an exclusive Star Wars Galactic Connexions trading disc. The Best Buy Star Wars: The Force Awakens features exclusive SteelBook Packaging. Star Wars: The Force Awakens saw the eagerly anticipated reteaming of original Star Wars stars Harrison Ford, Carrie Fisher and Mark Hamill, along with Anthony Daniels, the only actor to have been in all seven Star Wars films, and Peter Mayhew. The returning cast was joined by newcomer Daisy Ridley, who beat out fierce competition to take the principal role of Rey; BAFTA Rising Star Award winner John Boyega (Attack the Block, Imperial Dreams) as reluctant stormtrooper Finn; Emmy nominee Adam Driver (Lincoln, Girls) as the villainous Kylo Ren, and Golden Globe winner Oscar Isaac (Inside Llewyn Davis, The Bourne Legacy) as Resistance pilot Poe Dameron. You can now relive some of the excitement with these latest two videos. And don't forget to order Star Wars: The Force Awakens tonight, or get your copy this Tuesday. The Force has truly awakened!